8 Develop and own a certification process approved by HMG for assessing compliance with the applicable stage requirements. 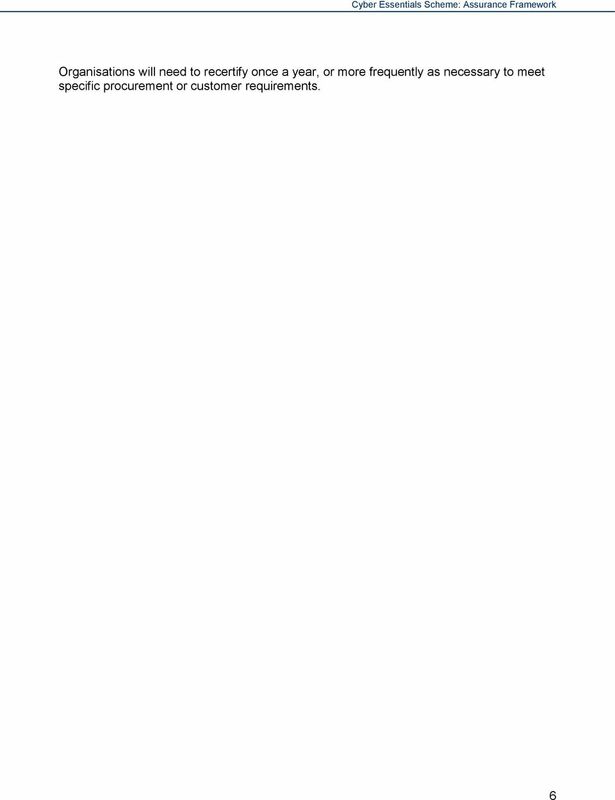 The certification process shall cover: o The tests to be undertaken. o The skills or qualifications required of the assessors and their supervisors. o The functionality required of any tools. 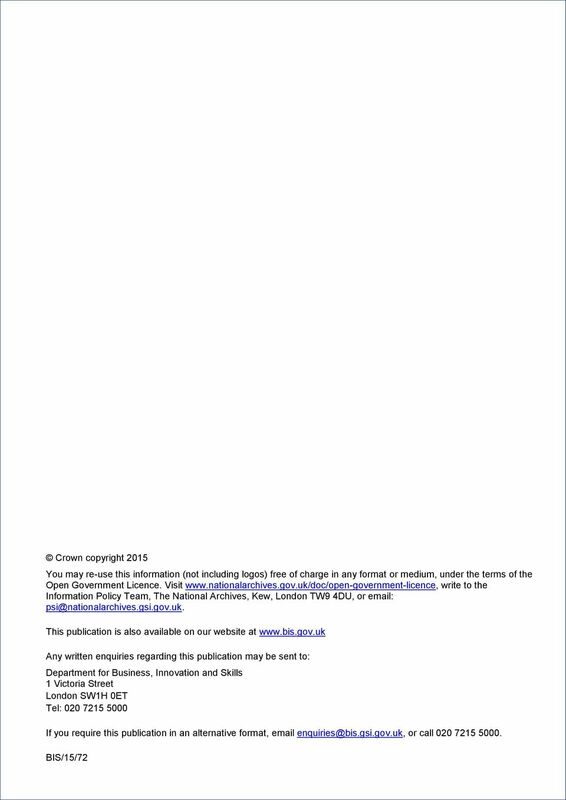 o The minimum content of test reports. 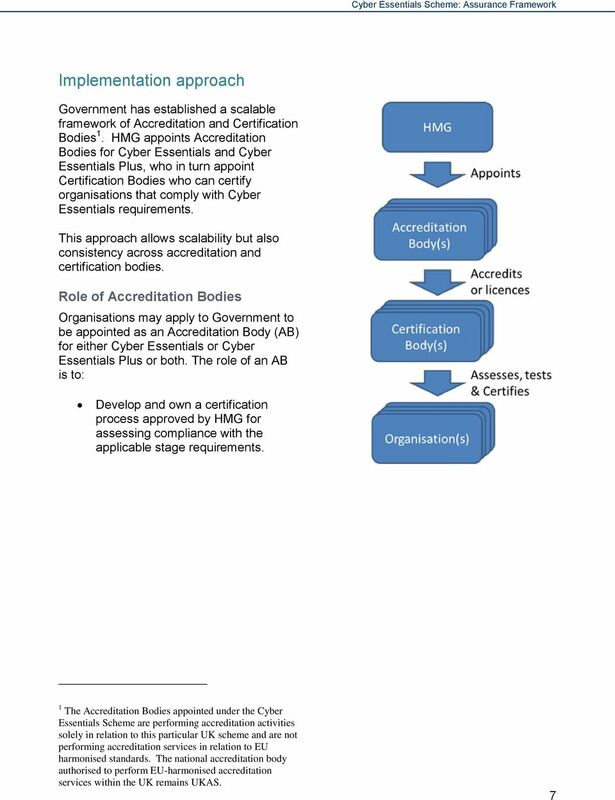 o The criteria for granting certification. o The content of certificates. 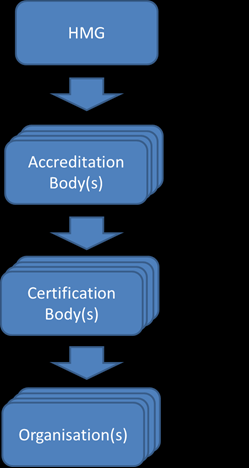 Accredit (or license) companies as Certification Bodies who show they have the competence to implement the certification process. 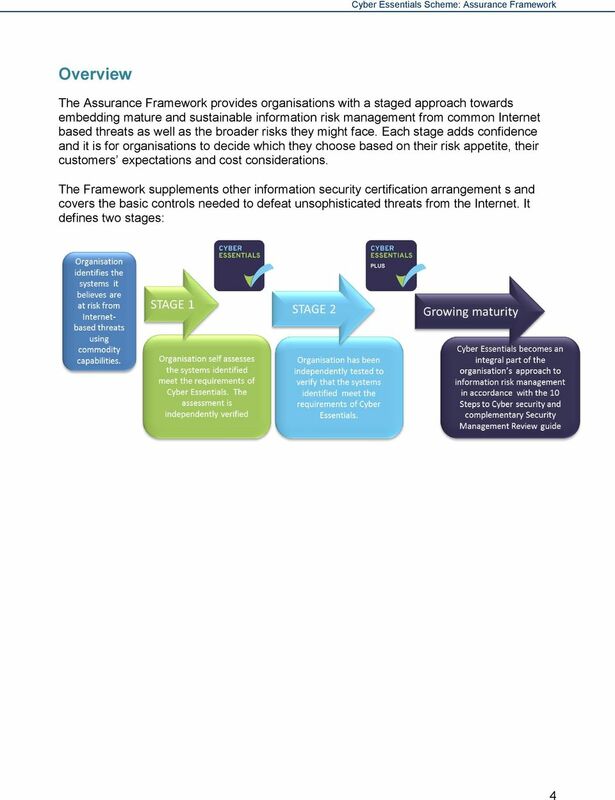 Ensure consistency of approach across their accredited companies, including adherence to any reporting standards. 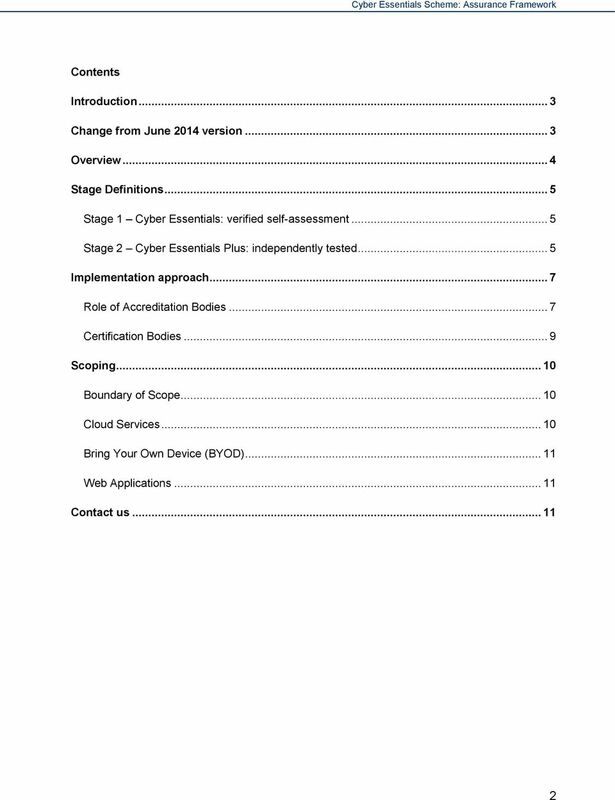 Set requirements for their Certification Bodies to protect client information shared with them. 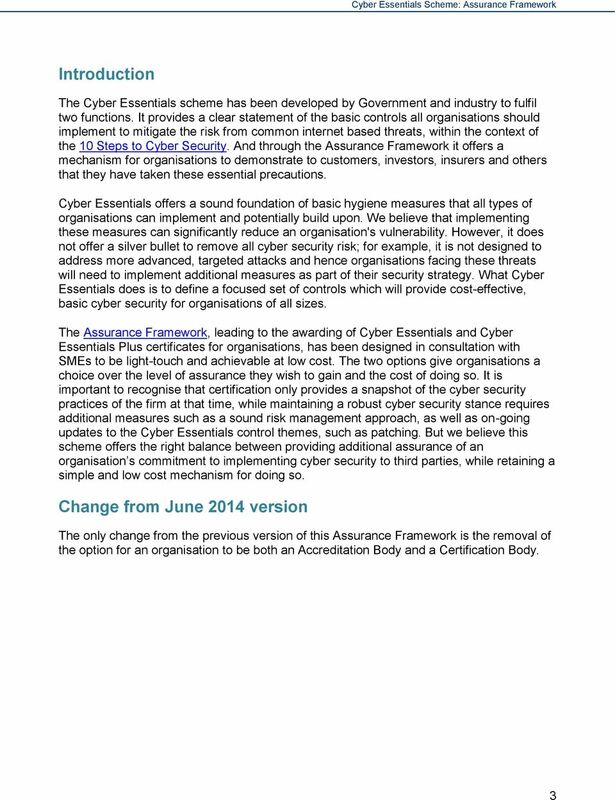 Arbitrate in disputes between Certification Bodies and their clients over Cyber Essentials certification results. Provide agreed management information to HM Government to enable adoption rates to be gauged. 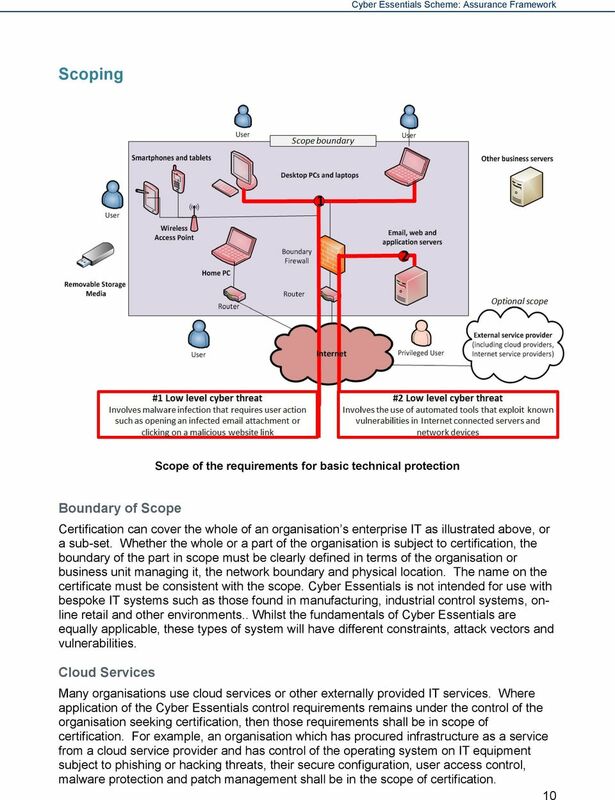 For Cyber Essentials the certification process shall evidence that the organisation has: Identified the scope subject to certification. Understood the Cyber Essentials requirements. Asserted their compliance with the Cyber Essentials requirements. 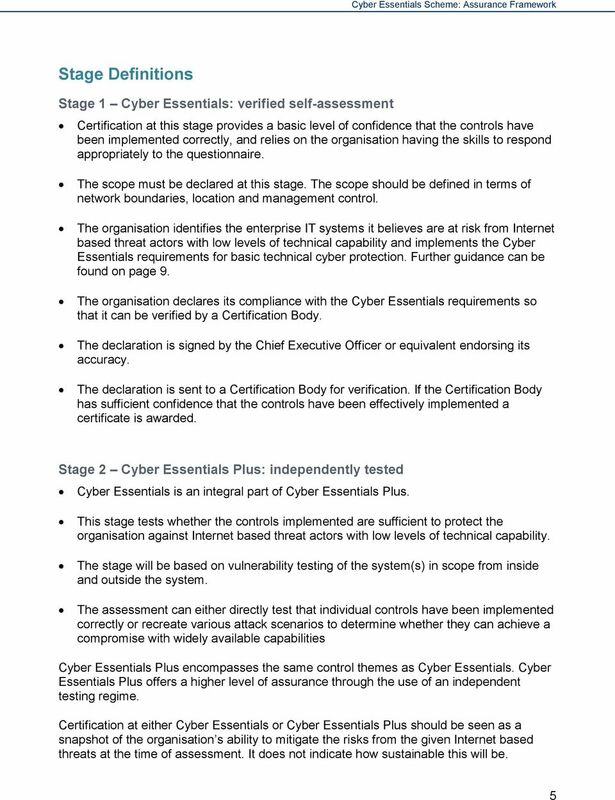 A reasonable prospect of passing the tests for Cyber Essentials Plus. 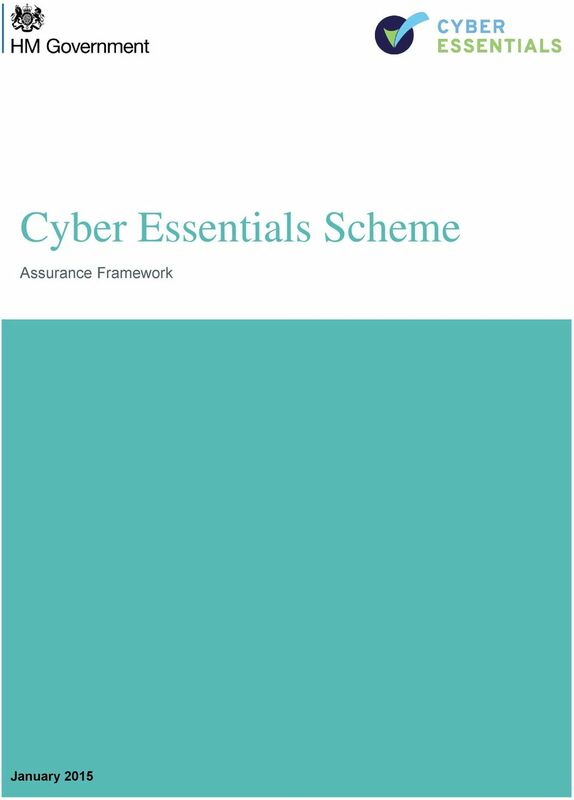 For Cyber Essentials Plus, the certification process shall include independent testing of whether the controls implemented collectively defeat threats from hacking and phishing. The testing shall cover all Internet gateways, all servers providing services directly to unauthenticated Internet based users and user devices representative of 90% of all user devices. 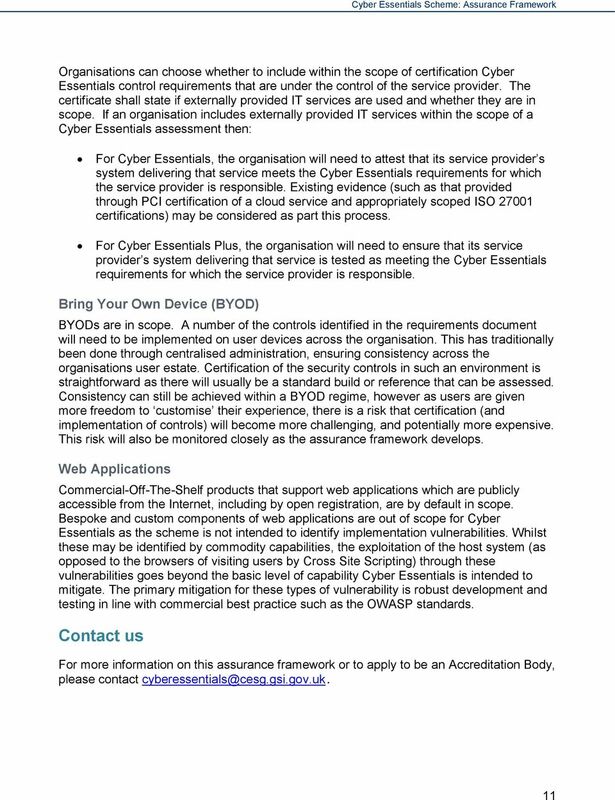 Cyber Essentials Questionnaire Introduction The Cyber Essentials scheme is recommended for organisations looking for a base level Cyber security test where IT is a business enabler rather than a core deliverable. 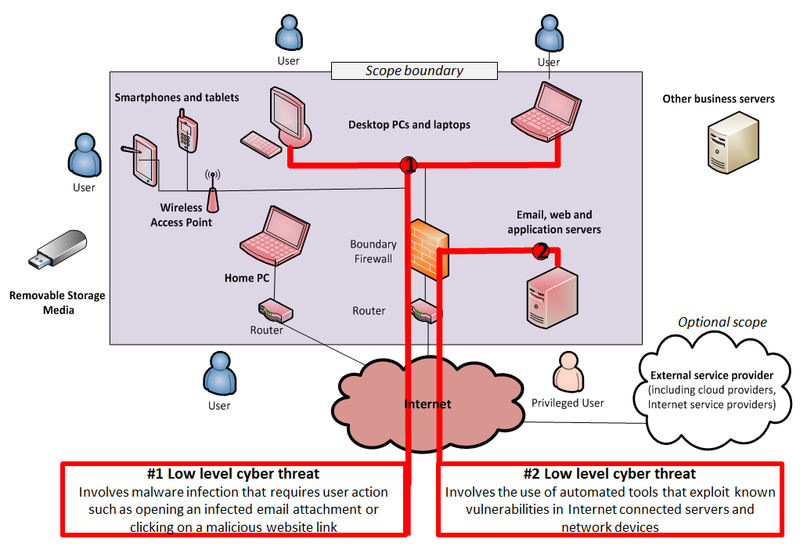 INFORMATION SECURITY TESTING SERVICE DESCRIPTION Penetration testing identifies potential weaknesses in a technical infrastructure and provides a level of assurance in the security of that infrastructure.